If you are planning on having your home renovated then perhaps it is worth considering having a water underfloor heating system installed. 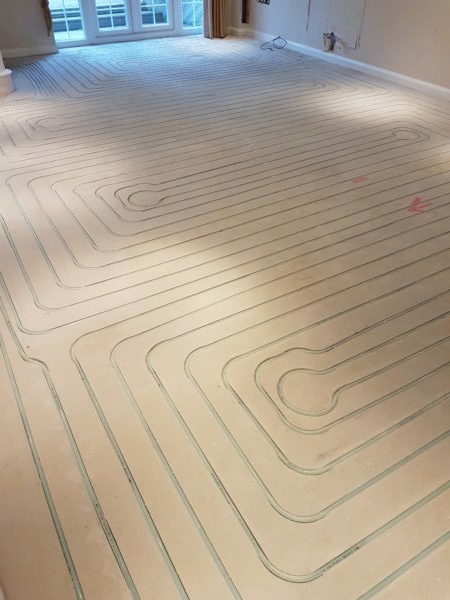 Underfloor heating installation (also known as underground heating or water underfloor heating installation) can be a complex process if done incorrectly, which is why it is important to hire in the professional’s. Assured Heating Essex have been advocates of underfloor heating systems for many years. The experience we’ve gained through the successful design and installation of many schemes ranging in size and complexity makes us the ideal choice to advise you on the best system to meet your needs. Underfloor heating provides “invisible” warmth – ideal for modern living, giving clean interior design and maximum usable wall space (as extra radiators are not required). Installing underfloor heating is safer and cleaner than radiator systems as there are no hot surfaces, also dust and air movement is minimised. Our installers are trained to a high standard in order for them to be recognised underfloor heating specialists. Underfloor central heating systems (i.e. 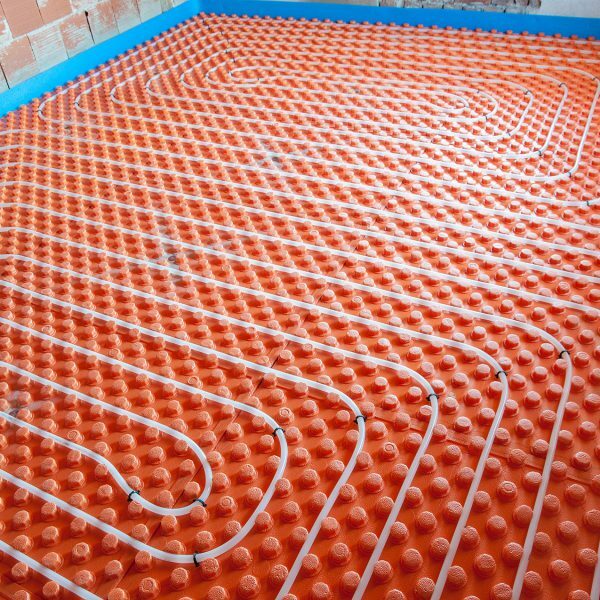 heated floors) work by pumping a flow of warm water through plastic tubing that’s laid within the floor. The water can come from any heat source and because the area emitting heat is large, sufficient warmth is provided. Even on a cold winter’s night there will no need for supplementary heating. There are 4 main ways of installing underfloor heating. Heating which can be permanently built into solid concrete or screed floors. Insulation is built into the floor as required by building regulations directly beneath a screed floor panel. The heating pipe is simply “walked in” and is permanently covered by screed. Floating wooden or stone / tiles or standard carpet / vinyl floor covering may be used. Heating may be installed in floating floors above an existing solid or timber floor. Pipe is simply “pressed in” to the preformed heat emitter plate, which sits in grooves within the floating floor insulation panel. Standard tongue and groove floorboard is laid above the system and any floor covering may be used. Heating can be installed between the joists of a suspended floor, either from above or from below. Alternatively heating pipes can be laid between battens above the joists. Standard tongue and groove floorboard is laid above the system and any floor covering may be used. The existing topscreed is grooved using a specially designed floor grinder. The floor grinder dustlessly creates grooves in the screed into which the heating pipes are laid into. This system is more comfortable and energy efficient than traditional wet UFH systems, as the heating pipes are installed directly under the surface of the floor. This allows the floor temperature to rise much faster so the room temperature can be controlled more accurately than with traditional underfloor heating systems. This system can be installed into all renovation, refurbishment or change of use projects.